VANCOUVER, BRITISH COLUMBIA – Connectivity may be the most important – and most defining – ingredient in the recipe for a good data center. But data centers are only one part of the larger eco-system that makes up our global infrastructure. 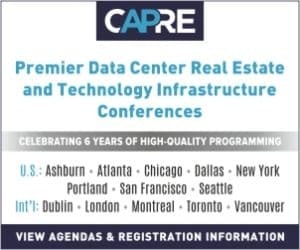 That’s why CapRE includes a panel about connectivity at each of its data center summits, and the recent Vancouver Data Center Summit was no exception. “Flexibility of Growth in Connectivity: Analysis of Network Reconfiguration to Support Evolving Needs” kicked off with a spotlight on panelist James Young, Global Director for Data Centers at CommScope.